A visit to our wellness centers is pure indulgence. 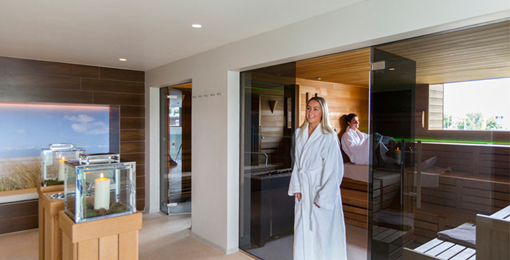 Unwind completely in our luxurious saunas, Turkish steam baths and tanning beds. Below you will find an overview of Valk Exclusief hotels with wellness facilities. Come and relax during your stay at Hotel Almere. Enjoy the sauna and steam shower facilities. For relaxation you will find a luxurious wellness center at the top of Hotel Dordrecht, on the 14th floor. 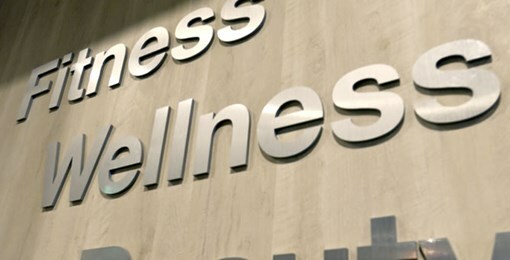 Everything is ready for you and the wellness center is open for you from 06:00 (6 am) to 23:00 (11 pm) daily. At Aiporthotel Düsseldorf you can relax on the 15th floor. 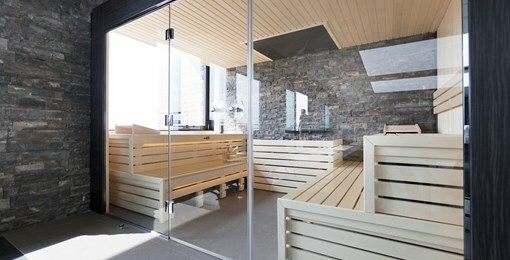 Make use of one of the three saunas or enjoy the 'experience shower'. The modern Beauty & Wellness Center is located on the 14th floor of the hotel and offers various relaxing treatments. The staff will be happy to arrange a package for you, where you can indicate which treatments you prefer. Treat yourself with a visit to our sports and wellness center. You can use a luxury sauna with Turkish bath, infrared sauna and Finnish sauna. Besides, you can also make use of our sunbeds. 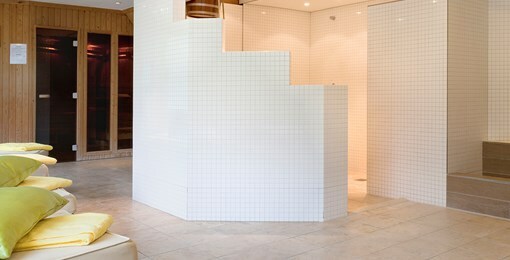 Relax in the wellness center of Hotel Rotterdam - Nieuwerkerk. Enjoy the traditional sauna, infrared sauna or steam cabin. Relax in the completely new wellness center. The heated design loungers are unique in the Netherlands. Here you can relax and enjoy the gentle radiant heat. 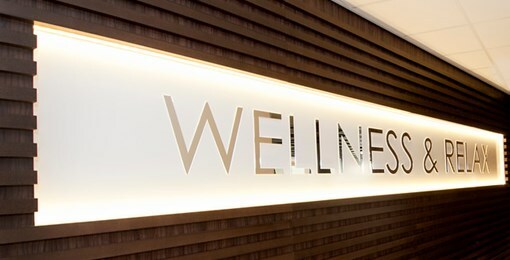 The wellness center is open from 10.00 (10 am) to 22.00 (10 pm). Hotel Spier - Dwingeloo has an extensive wellness center. Relax after a day in nature. Make use of the Finnish sauna, Turkish steam bath or make an appointment for a wonderful massage. To completely unwind and relax, you will find the Wellness Center on the 6th floor of Hotel Zwolle. The Wellness Center is equipped with all comforts, allowing you to enjoy peace and quiet and pure enjoyment. The wellness facilities are around the corner. As a guest of Kasteel TerWorm you can make free use of the wellness facilities of Van der Valk Hotel Heerlen, which is located 500 meters from Kasteel TerWorm. Total relaxation, ultimate enjoyment, your head completely empty and just completely away from the daily stress. The wellness and indoor swimming pool at Hotel Van der Valk Maastricht are furnished in a luxurious and stylish ambience, so you can enjoy peace and quiet and pure enjoyment. In our new Wellness Center, a fitness room and swimming pool have been realized. Here you can relax completely in one of the Finnish saunas, infra red sauna, the steam cabin or in the relaxation room with a view of the beautiful fireplace. Note: Swimwear is mandatory. Unwind in the completely renovated wellness area of Hotel Akersloot. Make use of the steam cabin, sauna or relax in the rest room. You can also use the wonderfully heated swimming pool. Just enjoy! You can relax in the completely new Wellness Center. The beautiful wellness center are not only pleasing to the eye, but also offer comfort and wonderful moments of relaxation. On the top floor of the hotel you have a beautiful view over the city Enschede. Here you can relax completely!